This show is played in Spanish, however lots of song and dance lifts any language barriers, particularly for children. This is a fantastic, fun packed musical for the whole family, that includes all of your favourite Abba songs. 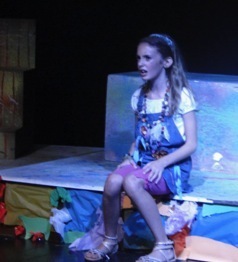 You´ve never seen Alice in Wonderland and her characters go crazy over Mamma Mia in this wacky musical performed by the children from the Blackbox Theater group. Location: C/ Notario Luis Oliver 6 (formerly C/ Finlandia) off the main road Ricardo Soriano, Marbella. Directions.